In response to market needs for a cost effective Ammonia Flow Control System for natural gas fired combustion turbines and boilers, IFS has announced the “AFCU 2020 Series”. 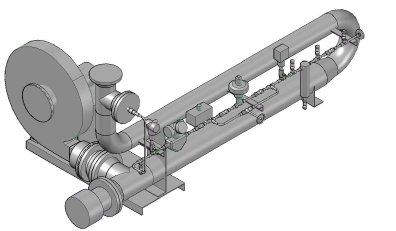 The AFCU 2020 Standard Ammonia Flow Control Units are designed to control the flow of ammonia from the Ammonia Storage / Forwarding System into an exhaust gas stream for NOx reduction. The air is typically pressurized with a centrifugal blower and heated with an electric process heater. Aqueous Ammonia is injected into the discharge of the package and mixed with the heated air. The hot air vaporizes the ammonia prior to injection into the Ammonia Injection Grid (AIG). The AFCU 2020 Series includes (4) standard sizes to meet the needs of the common combustion turbines. Contact IFS for a complete specification package outlining the details of the equipment, or to learn more about the Oil and Gas skid manufacturers at IFS.